Minister of Intelligence lets slip, perhaps on purpose, that Israel is not just taking diplomatic measures against the Iranian threat. 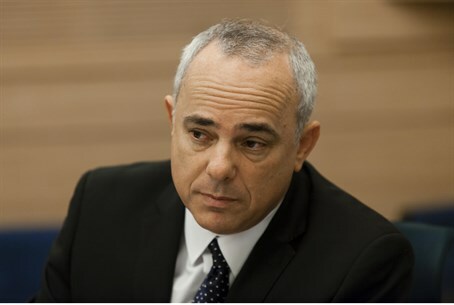 Steinitz was responding to a no-confidence bill submitted by Labor head MK Yitzhak Herzog, and extolling the leadership abilities of the government under Binyamin Netanyahu. Israel prides itself on leading the international effort to curb Iran's nuclear weapons program. In addition, it is generally speculated that the Jewish state is also engaged in covert operations against Iran, and the Mossad has been credited with numerous assassinations and acts of sabotage in that context. However, Israel's policy has always been not to talk openly about these matters. Steinitz's statement may have been a gaffe, or an intentional slip as part of an effort to boost the image of Likud under Prime Minister Netanyahu as able guardians of Israel's security. A Kuwaiti newspaper reported in October that an explosion that took place at the Iranian nuclear site in Parchin was not the result of a malfunction, but an intentional act of sabotage. The report relies on European diplomatic sources in Washington, DC, who said that a foreign country carried out the attack in order to foil experiments in the mounting of nuclear warheads on ballistic missiles. The report also said that Iran asked its proxy Hezbollah to carry out a bomb attack in which two Israeli soldiers were hurt at Har Dov, in retaliation to the attack on Parchin. US officials said in 2012 that deadly attacks on Iranian nuclear scientists were being carried out by Iranian dissidents armed, funded and trained by the Mossad, an NBC report claimed. It is widely believed the the People’s Mujahedin of Iran (MEK) killed five Iranian nuclear scientists since 2007, and may have destroyed a missile research and development site. The attacks were conducted in a dramatic fashion,with motorcycle-borne assailants often attaching small magnetic bombs to the exterior of the victims’ cars. The group has also been accused of arson attacks on several research laboratories.